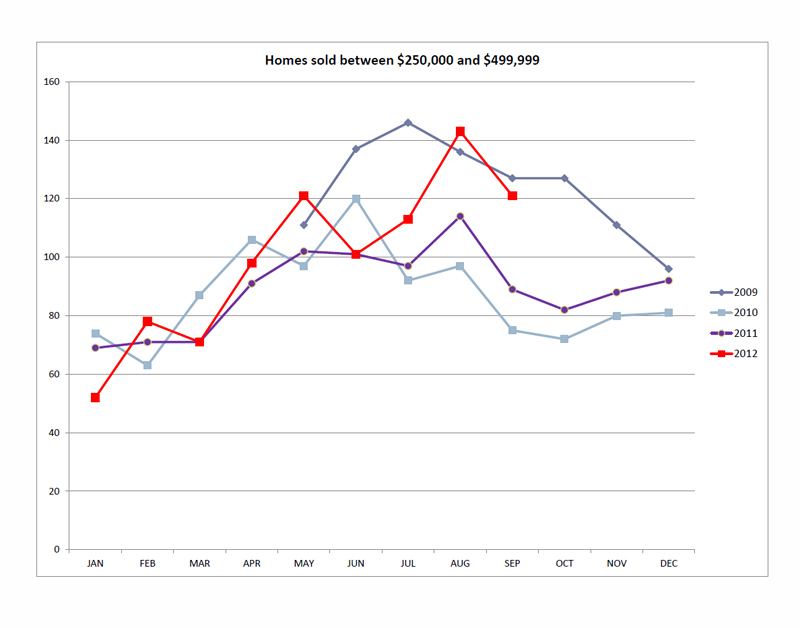 These graphs represent the Utah County Homes Listed and Sold priced between $250k-$500k. The Utah County Association of Realtors started tracking this data back in 2009. This statistical data was gathered from the MLS. Each plot on the graph below represents the number of listings in this price range. The number of homes listed in this price range took a nice dive from about 1,500 homes for sale in 2009 to around 1,000 by the end of the year. The downward trend continued in 2010. Most homes selling during this time were Utah County Bank Foreclosures and Utah County Short Sales. The inventory of this price range was stable in 2011 and 2012 and cliimbed in 2013. The number of Utah County sold homes listed between $250k-$500k has been climbing since the begining of 2012. In fact, we had a little over 200 homes in this price range sell in July of 2013. This was our highest number of homes selling over the past five years. 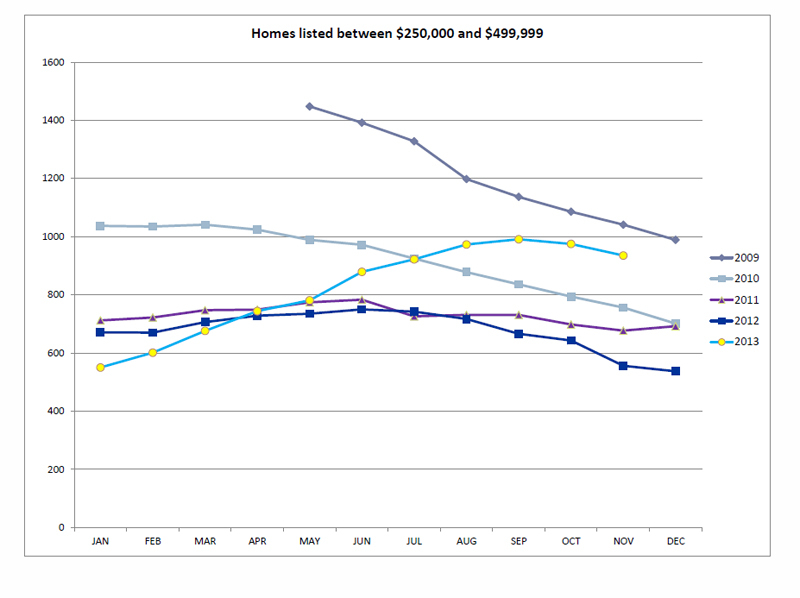 Historically, homes in this price range appear to sell the most between the months of May thru September.